B&W image. Shows a in the foreground a man holding a large fanfold punched card. 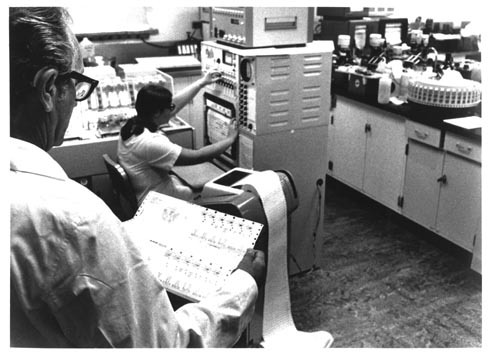 In the background is a woman seated at a console operating a computer.